This is a long biography of one of our most distinguished poets, written by a professional friend who gets very close to P.K. Page’s life. Page was born in England where her father served overseas in World War l. He decided to move his family to Canada, where he also had a military career. Both he and his wife were artistic, writing poetry and drawing respectively. Their daughter followed suit and got an audience for her poems at an early age. Sandra Djwa has been professor of English at Simon Fraser University, and also published two books: “The Politics of the imagination:A Life of F.R. Scott” and “Professing English: A Life of Ray Daniells.” She was in a good position to accept P.K. 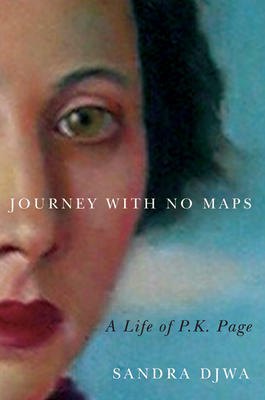 Page’s request to write her biography, knowing well the literary circles across the country. She gives an excellent account of the exceedingly hard work that went into the developing of Page’s talent, after she decided to make writing her career – first in Halifax, then Montreal, Ottawa and finally Victoria, B.C. In Montreal, in particular, her name started appearing in poetry magazines more and more often as they started making their appearance in Canada. It was in Montreal that she first met the Preview group in l94l. They were a group of poets who met and mimeographed their works; they included the poet and professor of law at McGill University, F.R. Scott, Margaret Day, Bruce Ruddick, Neufville Shaw and Patrick Anderson. Page was invited to join. She would meet most members of the avant-garde in Montreal, artists as well as writers. She would also fall in love for the first time, with a married man, F.R. Scott. Djwa tells of Page’s eventual happy marriage to Arthur Irwin, legendary editor of Macleans magazine and head of the National Film Board. He was posted with Canada’s diplomatic corps to Australia, Brazil and Mexico. His beautiful wife was a great asset; she continued writing and eventually painting. When retired, Irwin took a post on Victoria’s newspapers, and they settled in that city. P.K. spent her latter years reading poetry in cities all across Canada where her stunning performances were as memorable as the poetry itself. Previous Previous post: UNICEF Holiday Cards are available now!